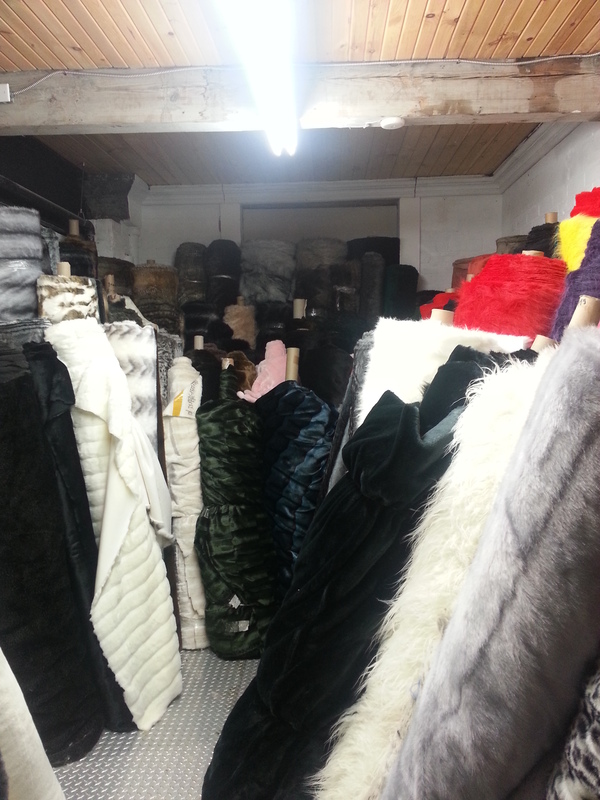 It was an amazing place… I think they are mostly left over sections from the fashion and home decorating industries. They are nearly all at least 60″ wide and in types I’ve never seen before in a fabric store. I bought some terry cloth, stretchy fleece that I hope to turn into either a pair of pants or a sweatshirt. 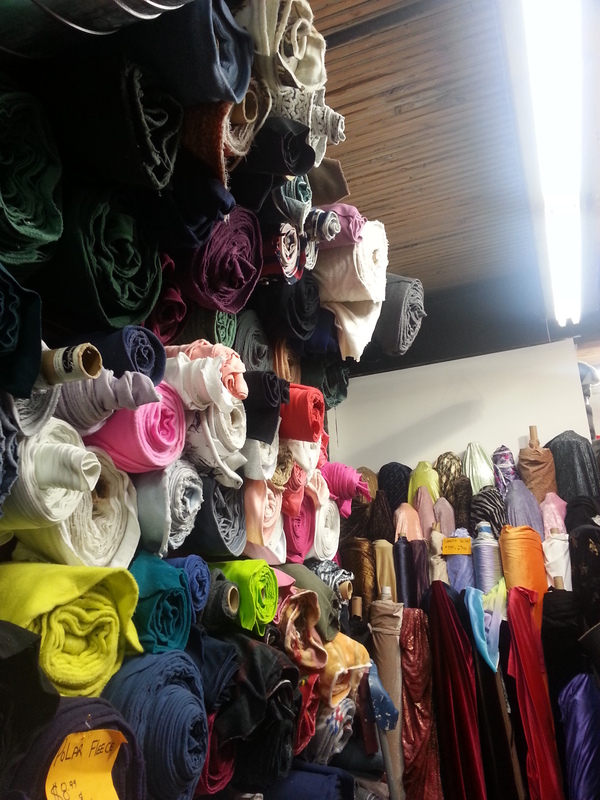 The place was so full of fabric that many of the aisles were just barely big enough to squeeze through. The fabric I wanted was near the ceiling so one of the helpful employees climbed up on top of the pile and grabbed it, knocking down a bunch more in the process. 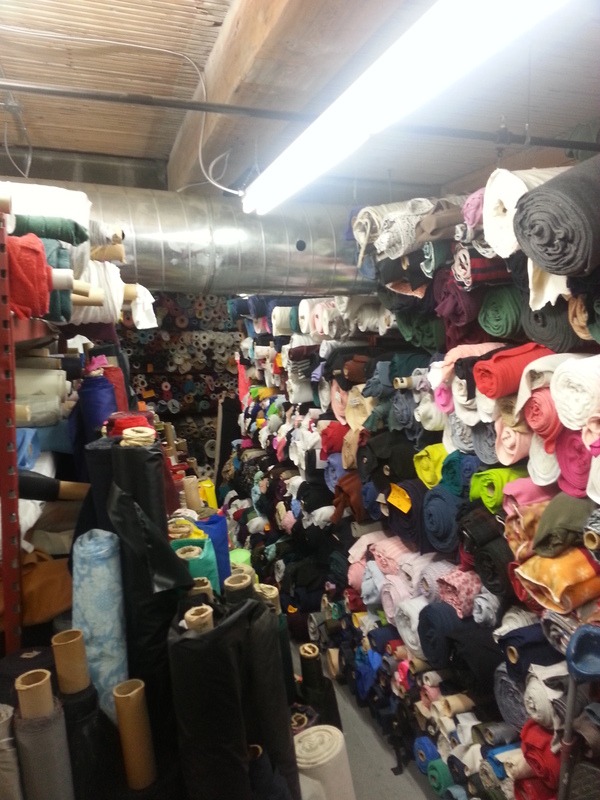 It was a magical place, not as cheap as sewphisticated (Around the same prices as Fabric Place Basement), but with somewhere around 10 times the amount and variety of sewphisticated. And all of it felt good quality fabric, not the stuff you find at JoAnn’s. The more and more I find places like this, the more I hate JoAnn’s and how it has put so many smaller fabric stores out of business. 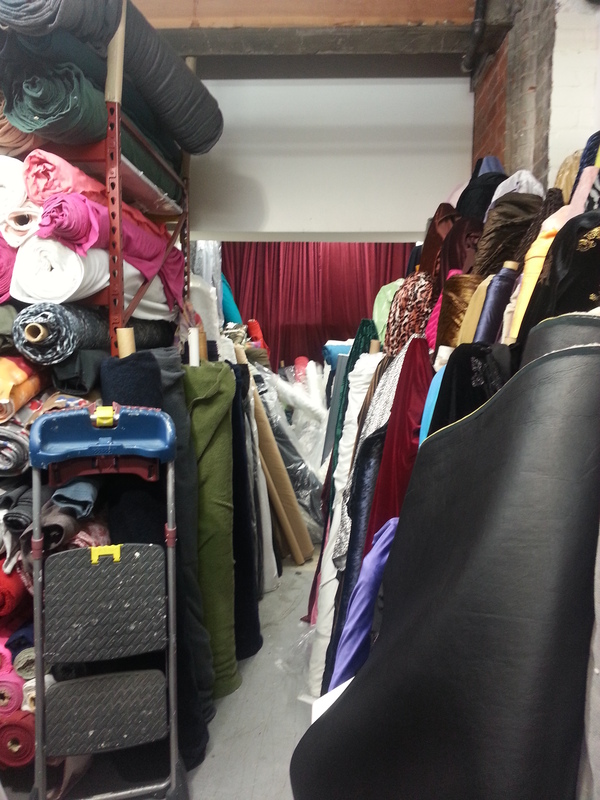 I wish more people sewed their own clothing so that there would be a larger demand for places like this. There was also rooms and rooms of trim and leather.. So much amazingness all in one place. I’d definitely drive back up to Toronto just to go to this store and Lee Valley! Course, now I need to actually do some sewing. I have like 10 projects that I have all the material for, but haven’t started… I also just signed up for a craftsy class on making your own wool swing coats, which I am very eager to try my hand at.